Oby's Blog: Wait, what? Kylie Jenner lent Tyga $800k? According to new reports, Kylie Jenner lent her boyfriend Tyga $800,000 and her mum Kris Jenner is said to be furious about it. Star Magazine reports below Kris Jenner is warning her youngest daughter, Kylie, to put her $5 million fortune on lockdown – and out of reach of the 18-year-old’s bad news boyfriend, Tyga, who is in financial free-fall thanks to $19k in back taxes, $70k in back rent and a flop album. Kris was horrified when Tyga not only leased Kylie’s birthday Ferrari but borrowed the deposit from Kylie!” reveals a source, adding that Kylie also lent her beau an additional $800k. Kris hit the roof. 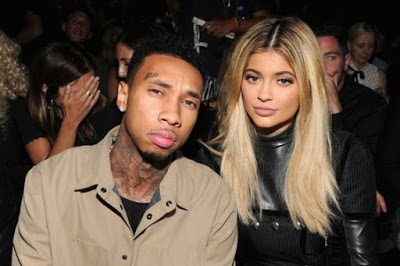 Kylie said she trusts Tyga to pay it back, but Kris knows Kylie will never see that money again.” And after finding large withdrawals that her daughter can’t – or won’t account for Kris is derailing the gravy train.